Had a marvelous opportunity to spend two weeks in Great Britain traveling with my daughter. One stop was in the Sherwood Forest/Nottingham area – the land of Robin Hood. Whether fact or fiction, we had lots of fun walking through hallowed Sherwood Forest, visiting Nottingham Castle and Ye Olde Trip to Jerusalem, and checking out Edwinstowe where legend has it Robin Hood married Maid Marion. Though certainly not a main purpose of the trip, there were many wonderful birds along the way and it would have been a shame not to try to capture a few photos. 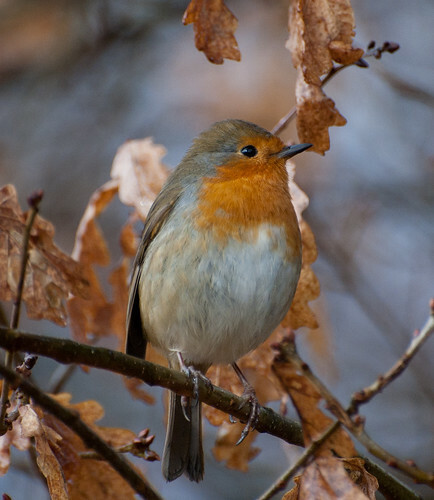 One bird we saw throughout was the Robin – a very cheery, friendly bird. 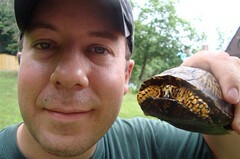 It is much smaller and daintier than our American Robin. 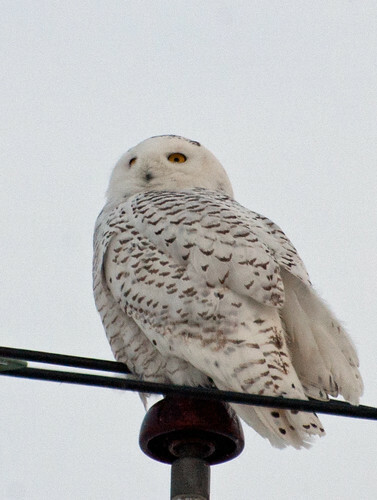 I recently sat in my car with the window down observing and photographing a snowy owl perched on its usual utility pole. I heard and saw a lone raven flying from the north, quorking (one of the common raven’s vocalizations) as it flew. 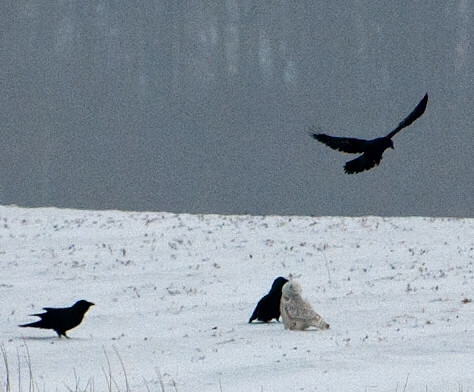 The snowy owl seemed to hear the raven too as it immediately flew directly over my car and landed on the ground along the driveway at the gravel pits. 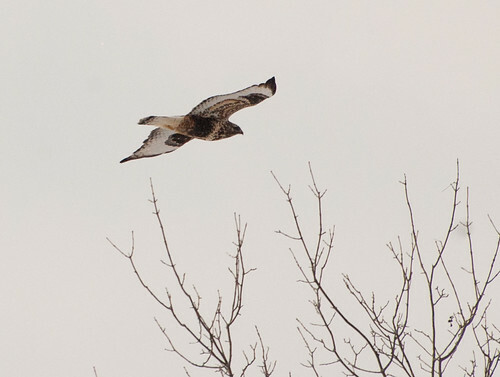 Another car drove into the gravel pit driveway spooking the owl which then flew off across the frozen quarry. As we all shiveringly know there has been an amazing influx of frigid Arctic air this winter, reluctantly causing us to add the phrase “Polar Vortex” to our vocabulary. But, thankfully, the Arctic region has provided us with more than just frigid temps this winter – it has also provided us an influx (or more appropriately an irruption) of one of its stunning birds of prey – Snowy Owls. Most of Western New York has been shut down tomorrow due to this storm moving through. It is the first Winter Storm Warning in almost 20 years. Even though they say don’t go outside, please take the time to feed the birds . . . . they could use your help. New Years resolution again is to try and post on the blog more. Hope everyone enjoys 2014!! You have to love early mornings in Allegany State Park. Winter has returned.